With the increasing desire to have beautiful homes that stand the test of time, natural stone is emerging as an ideal choice amongst the many materials in the construction market. It is adaptable to give you beauty, durability as well as cost cutting elements for both the interior as well as the exterior of your home. 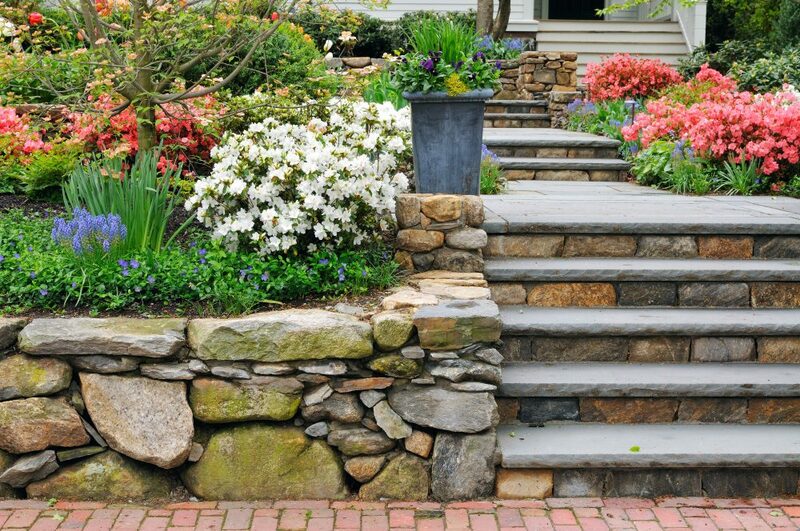 Stone is an original green building material provided by Mother Nature. This means that is does not need raw materials in order for it to be produced. It does not have any form of chemicals of harmful toxins which guarantees the health and safety of both the house and occupants. It comes with different shapes, colour as well as technical characteristics which makes it suitable for use in various forms. Stone is available both on the regional and local fronts. For the regional option, the stone has extracted materials which reduce greenhouse gases being emitted during transportation. The local stone is naturally available in quarry sites that are located within 500 miles of almost all construction sites. There is absolutely no need to change or replace the stone in your home as it stands the test of time. Most stones will age gracefully and in a beautiful way, giving you many years of enjoying its use and beauty. It is not easily destroyed by heavy traffic and is suitable for spaces such as the foyer, courtyards etc. The initial cost of using stone may seem a little high, but the cost of maintaining comes down to almost zero as it hardly needs repair or replacement. As naturally as it comes, it is equally naturally easy to maintain stone. There are various fabrication choices and finishes that can be used to enhance the beauty as well as performance. Most stones only need water and mild soap for cleaning, even though there are affordable detergents made specifically for cleaning natural stone. It is possible to recycle stone and at the same time, it can be used for a wide range of functions. Using recycled stone can minimize energy, water and other resources needed to create new products thereby reducing the impact on the environment. There are various ways in which stone can be recycled, some of which include building stones from a demolished house can be used as paving blocks. Flat stones can create a unique mosaic floor or wall design. Extraction of stone from quarries as well as fabrication has improved due to advanced technology and this has increased the options of stones available and at the same time, it has reduced the cost of buying stone products. The stone industry is working towards being eco-friendly by making use of processes that support environmental sustainability. In conclusion, using natural stone for construction gives you a wide range of options. Much as it your personal decision as to what materials to use, it is critical that sustainability is one of the options that you consider while choosing the material to use. It is quite in order to make consultations with a stone professional who will advise you on specific stones to use, depending on the function and purpose of your construction.